PL: on your mark, get set, go! I shared a bit about deciding to tackle Project Life this year – and wanted to share a few things I’ve been working on until my first photo order arrives. And, please…forgive the pics. I’ll get around to taking real ones soon, once I’ve got a bit more to share. For now, Instagrams will do. The cover page – I’m still not 100% positive I love this. Pretty sure it’s the stickers for the title – I’m fighting the urge to pick up one of the digital kits and print something. I had really hoped to work in the lyrics to Seasons of Love from Rent, but I’m calling it done. I think I’ll add them in throughout the album when I have an extra space or two. The empty space will be filled with another family photo at the end of the year. 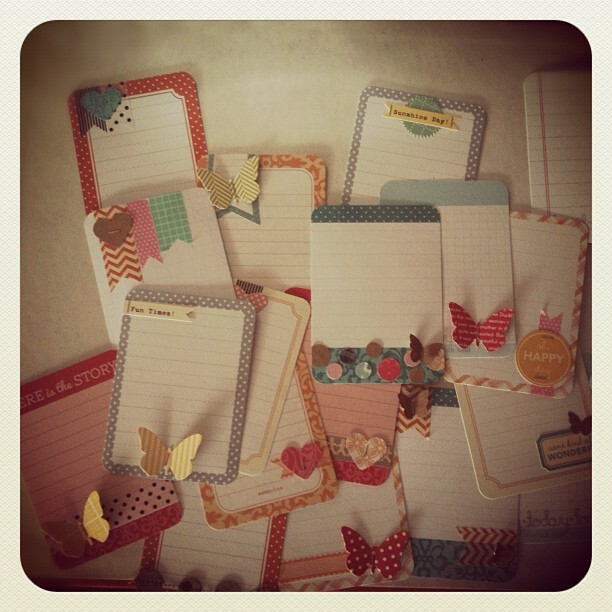 Journaling cards – sooo…I could pretty much make these all.day.long. I wanted to have a little stash of already decorated ones on hand, for when weeks get crazy. I learned with my December Daily album how much I really enjoyed working on a more mini level (as opposed to a larger 12×12 layout), and this is really cementing it for me. I see myself going forward with this format for my non-Project Life albums also – I’ve got 2 in-progress vacation albums and one other that needs to be started. Photo and journaling organization – I’m trying to offload photos from my camera every day or two, picking out the ones I’ll use, then labeling the file and adding it to my To Print folder. I’m still planning to print every two weeks, but I’m getting sort of anxious and will probably place my first order this weekend. I’m tracking days with Evernote. At the moment, I’m starting a new note for each week and jotting things down each day. If I keep each week in its own note, I think that should keep me on track. In progress – I probably need to find a better way to organize memorabilia than shoving it in my wallet. I’m also trying to figure out the best way to add in a few tweets or facebook status updates every so often. It seems like I saw a digital set that would work well, but I can’t remember where and didn’t pin it. I’m also debating whether I want to print out a weekly page to give me a good over-view – but I’m wondering if it would help keep everything else on track or just muddle what already seems to be working. Before I started Project Life, I really questioned the scrappers who claimed it revolutionized their scrapbooking. In just one week, it’s changed the way I think about the day I’ve lived, the things I’ve done, the minutia that makes up our family life. 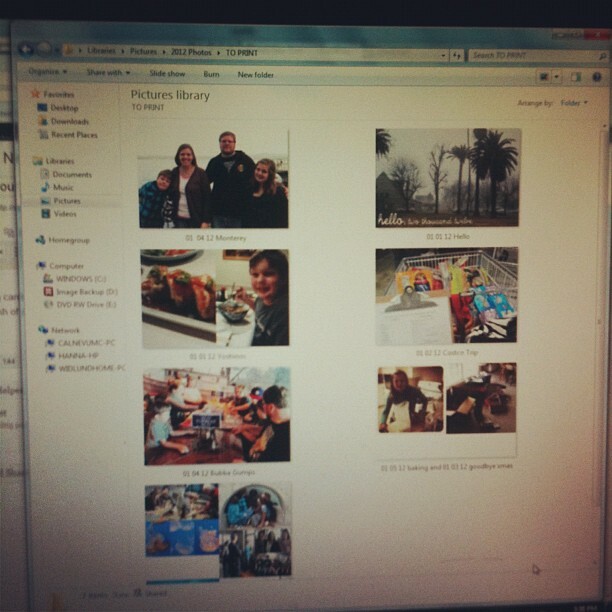 This entry was posted in Project Life and tagged memory keeping, Project Life, scrapbooking by Awkward Girl Gets Fit. Bookmark the permalink. Here from SC. Great post, love your journal cards. Look forward to seeing what else you come up with. I did a very basic PL last year, hoping to be a bit more creative in 2012.